The Liaison Collaborative | Oh Look! It's A Blog! But tomorrow’s just another day. 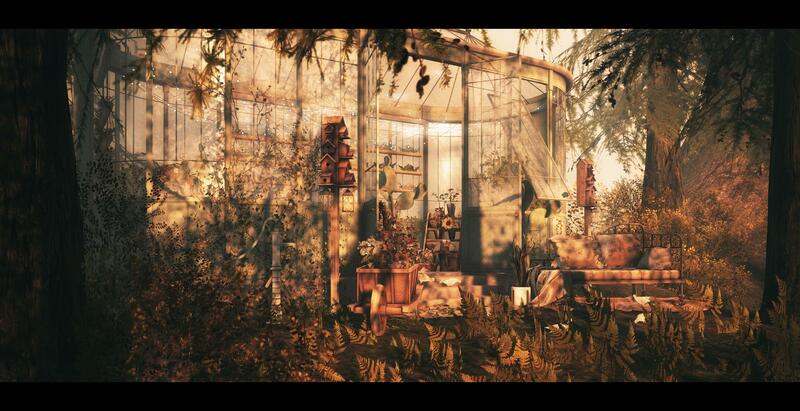 [ keke ] old garden greenhouse * March Deco(c)rate. I don’t speak the language that you speak. Back in a bathing suit again – you can tell summer is approaching, lots of swim suits! Credits and all the things are below. Better things to do than work. I have been playing around with mesh heads again, still trying to learn to love them. I did fall in love with the skin appliers at Insol though, they are gorgeous – and what I am using today in this post.